All staff photos published in the Record-Eagle print edition during the week of Jan. 24-30, 2010. Note: Some photos may not be available until late afternoon on the day published. Photos published on Saturday and Sunday may not be available until Monday. 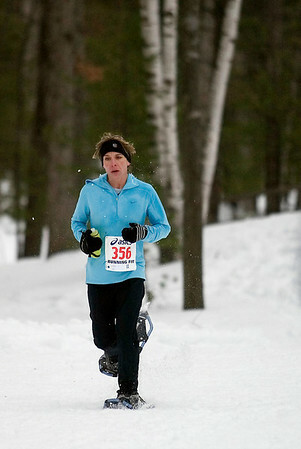 Renee Obert of Brighton was the first 10k women's finisher in Saturday's Bigfoot 5k and 10k Snowshoe Race at Timber Ridge.